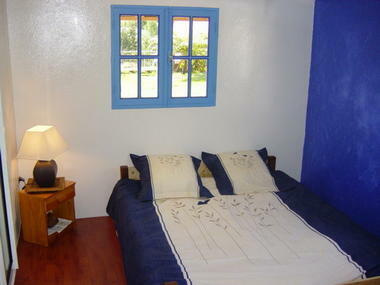 Les Lys in La Plaine des Cafres offers a house for 12 persons and a a chalet for 4 persons. Les Lys is a 6-bedroom house with 2 bathrooms, a living room, and a large equipped kitchen beneath a glassed-in veranda. The chalet offers 2 bedrooms, a lounge and an equipped kitchen. 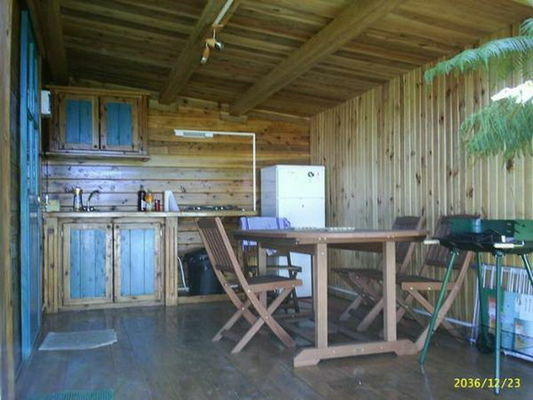 Located in the hamlet of Bois Court, a stone's throw away from the Grand Bassin belvedere, 50 minutes from Piton de la Fournaise and just 35 minutes from Saint-Pierre lagoon and Etang Salé beach. Environment / Access : Coming from the South, take the dual carriageway to Le Tampon/Plaine des Cafres. Follow the RN3 until you reach the 23rd km. Just after the Casino supermarket, turn left into Rue Raphaël Douyère and continue on to the end of the road, to the village of Bois Court. 5 km further on, after the patisserie, turn left into Impasse des Lys. The house is at no. 11. Coming from the Plains, follow the RN3 as far as the 23rd km. Just after the church and before the Casino supermarket, turn right into Rue Raphaël Douyère. Continue on to the end of the street to the village of Bois Court. 5 km further on, after the patisserie, turn left into Impasse des Lys. The house is at no. 11.